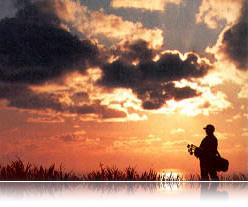 Golf has been played at Coollatin since the early part of this century, with The Earl Fiztwilliam spending may a vacation at Coollatin accompanied by a golf professional. 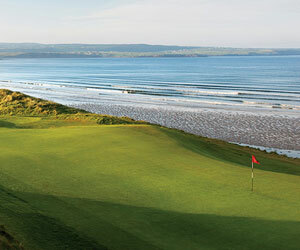 The Club was first registered With the Golfing Union of Ireland in 1962, when it was a 9 hole course. The course has now developed to an 18 hole course with a par of 70. From Dublin, N11 to Gorey, travel towards Carnew, club signposted from Carnew. From Rosslare, travel to Enniscorthy, Bunclody, club signposted form Carnew. Information herein provided by the club 22 Sept 98. The large oak trees which are a special feature of the course, provide an exciting challenge for both high and low handicap golfer. The new 9 hole extension opened this year, 1998, was designed by Peter McEnvoy one of the leading amateur golfers of this era and constructed by Sporting Concepts. The new 9 holes are built to USGA standards. My favourite golf club in Ireland, especially in May when the flowers are at their best. The course is always in terrific condition, and the food is first class. Myself and some mates make a round trip of 320 miles every May, just to get lost in the Coollattin experience, to date, we have not been disappointed. My wife and I (from St. Louis, Mo) found Coollattin during our stay at the Woodenbridge Hotel in May, 2005. We found it to be a very beautiful course with the many oak trees and the large number of flowering bushes, especially around the manor house which is the dominate feature of the landscape. The course was enjoyable, and yet challenging requiring the use of most every club in our bag. The quirky par 3 hole located inside the walled garden of the manor house was fun to play, even if a bit contrived. We would enjoy playing the course again on our next visit to Ireland.